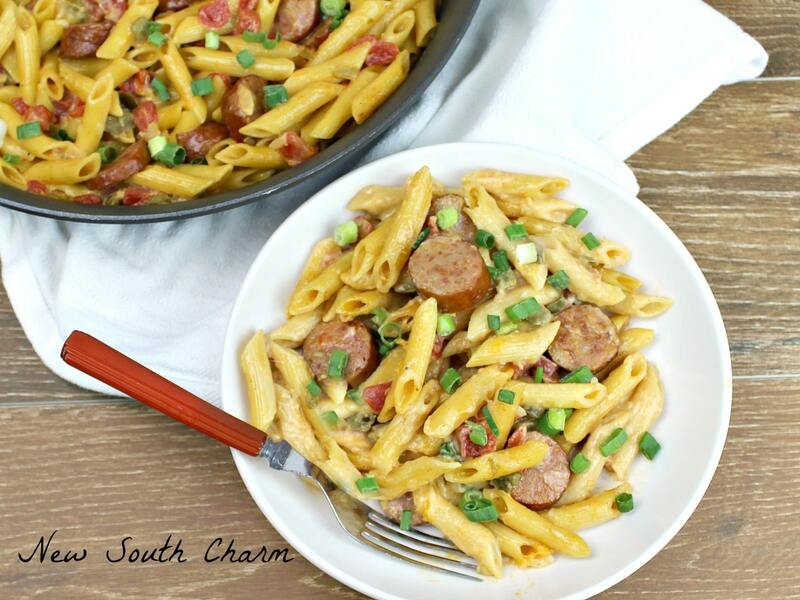 This recipe for Spicy Sausage and Penne Pasta is the perfect week night meal. It’s ready in just thirty minutes and is full of cheesy goodness! I’m always on the look out for new quick and easy dinners. 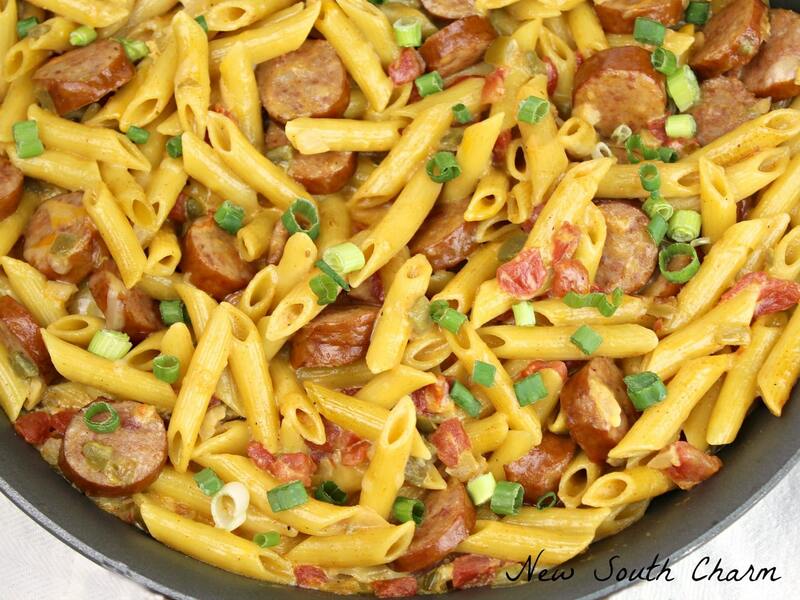 If I can make the whole thing in one pan like this Spicy Sausage and Penne Pasta then all the better. Less mess, less clean up. You can relate right? About a year ago I made this Spicy Sausage and Penne Pasta for the first time and honestly it as a sort of a let down while it was good it wasn’t great but it was so easy to make I didn’t want to let it go. So, I fiddled with the recipe and added a couple spices suddenly this recipe went from blah to BAM! 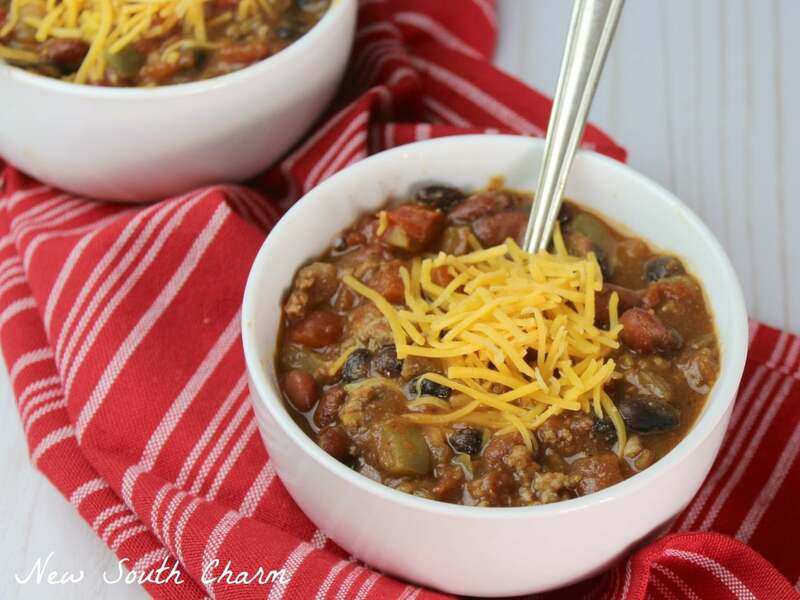 I used a great short cut to make this recipe even faster to prepare. I bought frozen chopped onion and bell pepper. I found them in the freezer section with the rest of the frozen vegetables. Then, I just opened the bag measured out a cup of each and dumped them in skillet I didn’t even defrost them first. You know what the say, work smarter not harder after all adulting is hard why make it harder? 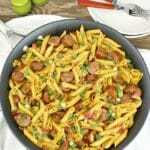 This recipe for Spicy Sausage and Penne Pasta is the perfect week night meal. It's ready in just thirty minutes and is full of cheesy goodness! 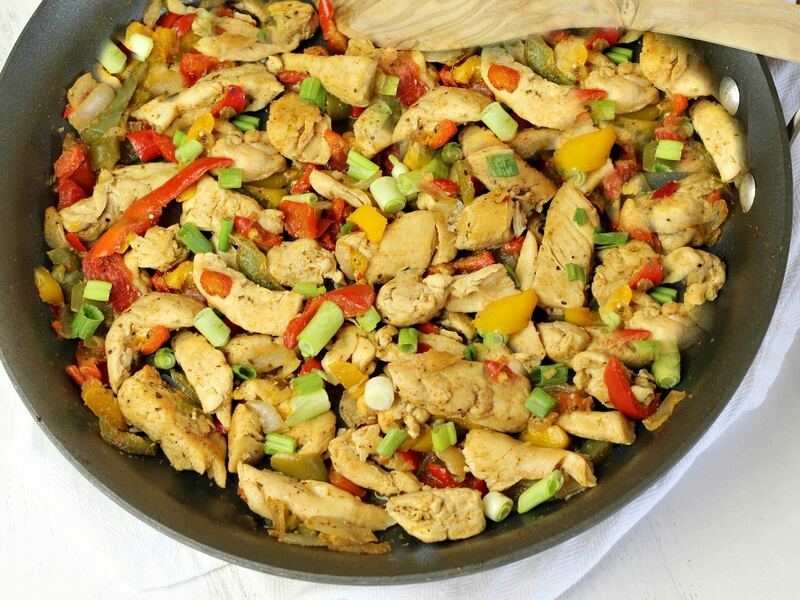 Looking for more easy 30 Minute Dinners? 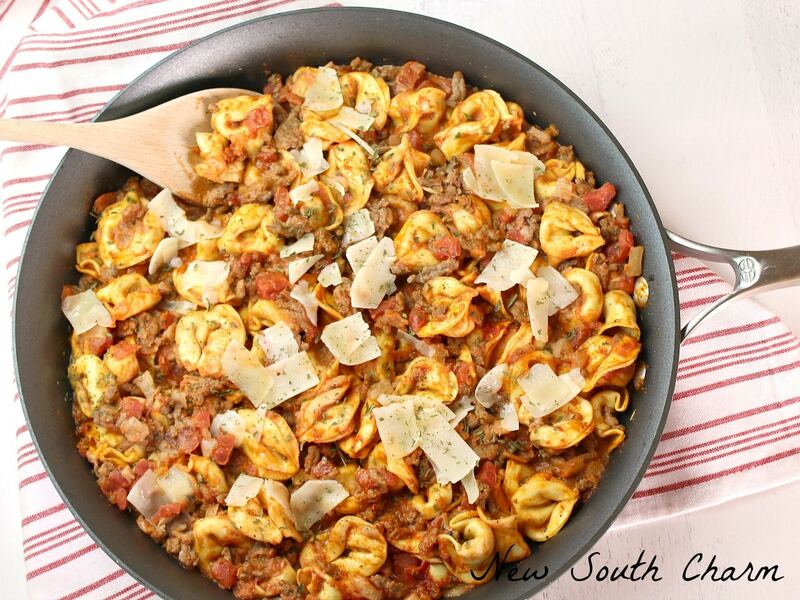 This pasta dish has all my favorite flavors in it. 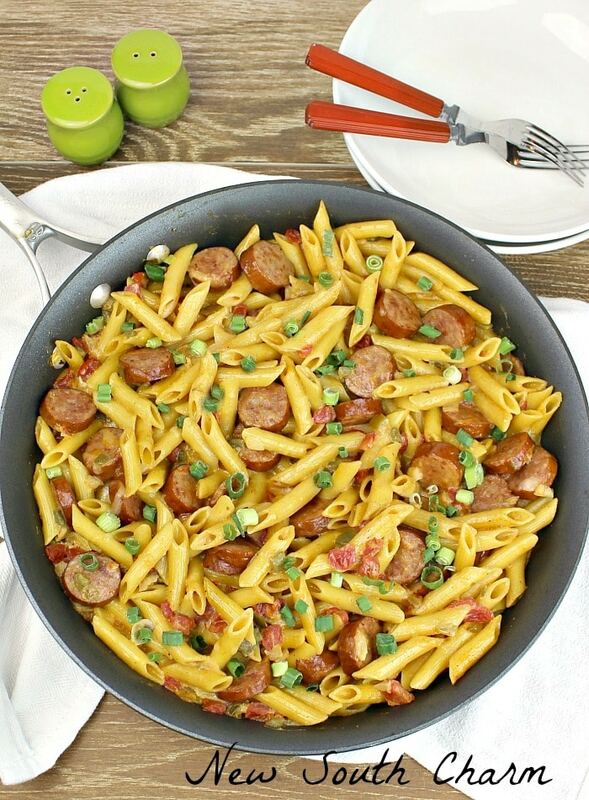 I just love cheesy dishes and the sausage and pasta are always so good together!